From experience I have learned that creating a web project plan is a very different exercise from normal project planning. Of course this is what makes this area so interesting and different, but of this in itself creates problems when trying to plan. I should mention that this is a much harder job for those working in new media agencies than those working for large Organisation's for whom the project budget is flexible depending on the circumstances. Where the web is concerned you will be amazed at the sheer range of resources required to deliver the project. From the standard developers, testers, environments and support through to designers, marketing, brand owners, usability, accessibility, print and even broadcasting to name but a few. Many of these resource types will not have been one's you will have come across before and it takes time to learn what it is they do as well as deliver. It certainly makes project resource management an overly complicated job. This is often ill defined on these types of projects which makes writing a web project plan and sticking to it a difficult task. The simple reason is that whilst most project stakeholders aren't that interested in technology they cannot see, when it comes to websites it's hard to keep them away! Anything like the GUI (Graphical User Interface) is a particularly difficult area to get decisions on as a result. It's almost as if all project stakeholders have an inner designer desperate to get out! You will find this being one of the major causes of scope creep as project stakeholders refuse to make key decisions on the design, layout and even colors to be used on the new website. In the internet you will find Organisations are either trying to get ahead of the competition, or desperately trying to catch up. Either way this means that timeframes are usually insanely tight, meaning you will have little time to spend updating your internet project plan. So bear this in mind when you are writing one and remember a 2000 line plan looks great, but trying to maintain it whilst deilvering a project to tight timeframes is impossible unless you want to be working 100 hour weeks! Because virtually everyone uses the internet, and seems to have their own blog or website, it is often easy to assume that web projects are easy. After all, you just create something pretty, pop it up on the web and voila it's done. Few non techie people seem to realise the amount of effort involved in order to getting it done. This in itself creates problems which need to be actively managed. 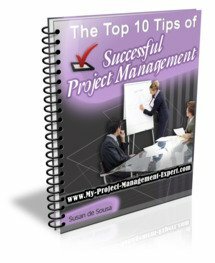 To read more on specifically how to create and write a web project plan please click here.